Just a portion of the world's food waste could free up large tracks of landfill space while powering vehicles and heating homes. Since a third of all the food produced is thrown away, it is an unexploited resource for generating energy. If just a portion of this waste is sent to waste-to-energy (WTE) systems, it would free up large areas of landfill while fueling our vehicles and warming our homes. This would also curtail a significant amount of carbon. 800 industrial scale WTE plants in more than 36 countries are in use today. These plants utilize anaerobic digesters, which use microorganisms to break down and convert organic waste into a fuel such as biogas, biodiesel or ethanol. The organic waste from breweries, coffee shops, dairy farms, and slaughterhouses can supply energy to hundreds of typical homes each day. Of course, there needs to be a place to collect, sort, and process this waste. The world is facing extraordinary population growth, rapid urbanization, rising affluence, and energy source scarceness. WTE systems are establishing themselves as an alternative to promote low carbon growth in the renewable energy field. 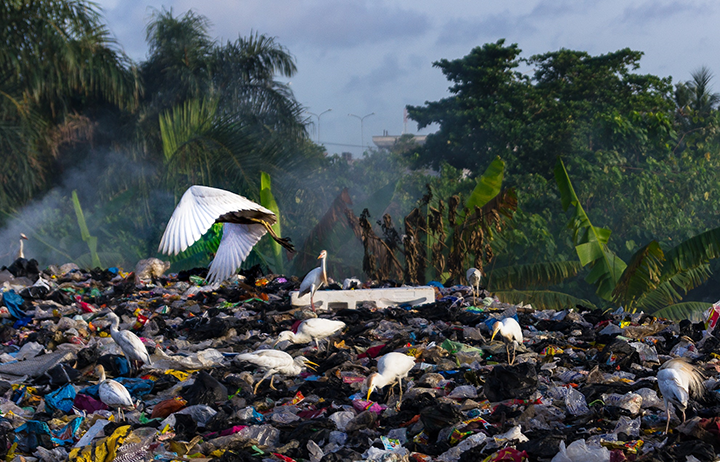 To make this work, both governments and individuals will have to support the diversion of waste. In the areas where WTE systems are employed, people are incentivized to separate out their organic and food waste. They save money on their trash bills. Bakeries, farms, grocers, restaurants, and other meaningful producers of organic or food waste can provide a continual source of material for WTE systems. About 133 billion pounds of food a year are wasted in the U.S. This is a waste of a precious resource; plus, all that waste generates a massive environmental problem. This food waste is dumped in landfills, where it rots and discharges a large amount of methane, which is a strong greenhouse gas that contributes to climate change. Hydrothermal liquefaction is a hopeful process for the conversion of biomass, especially high-moisture biomass. Biomass with high water content can be utilized without energy-intensive pretreatment and converted into bio-oil. Hydrothermal liquefaction has many advantages over other thermochemical conversion ways of processing biomass. Yet, this technology is not being widely used today, since high pressures are needed for processing, special reactor and separator designs, and the capital investments are required for full-scale plants. This reaction involves homogeneous and/or heterogeneous catalysts to enrich the quality of products and yields. Carbon and hydrogen of an organic material, such as biomass or peat are thermo-chemically transformed into hydrophobic compounds with low viscosity and high solubility. The fuel can be utilized for heavy engines, or converted to transportation fuels, such as diesel, gasoline or jet-fuels. In hydrothermal liquefaction processes, long carbon chain molecules in biomass are thermally cracked and oxygen is removed in the form of H2O and CO2, resulting in the production of high hydrogen to carbon ratio bio-oil. Hydrothermal liquefaction operates at temperatures between 482-1022°F and pressures of 5-25 MPa as well as catalysts for 20–60 minutes. Higher or lower temperatures can be used to boost gas or liquid yields. At these temperatures and pressures, the water that exists in the biomass becomes either subcritical or supercritical, and performs as a solvent, reactant, and catalyst to expedite the reaction of biomass to bio-oil. Any biomass can be transformed into bio-oil using hydrothermal liquefaction irrespective of water content. Various biomasses have been tested from forestry and agriculture residues, sewage sludges, food process wastes, and emergent non-food biomass such as algae. The structure of cellulose, hemicellulose, protein, and lignin in the source waste affects the yield and quality of the oil from the process. Anaerobic digestion is another technique by which organic matter such as animal or food waste is broken down to produce biogas and biofertilizer. This treatment happens as a series of biological processes in which microorganisms break down biomass or waste feedstock without oxygen. 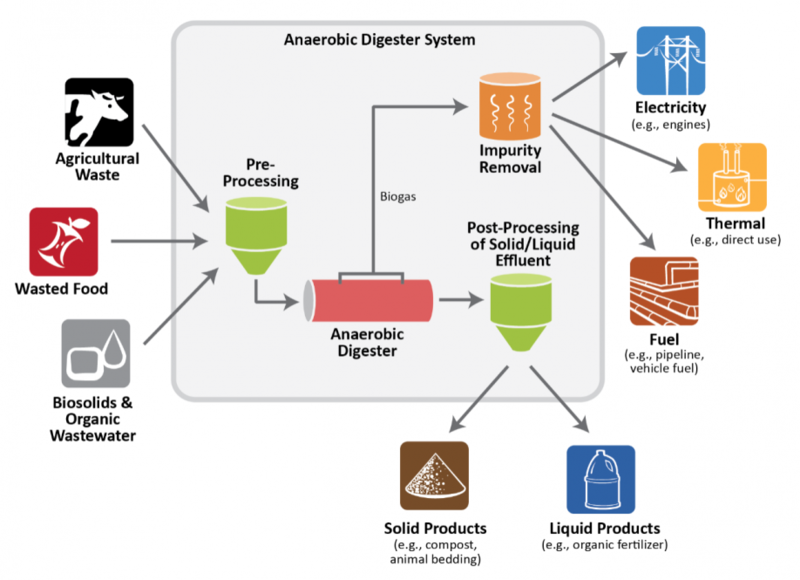 Like hydrothermal liquefaction, anaerobic digestion has, as the end product, biogases, which are burned to generate electricity and heat, or can be processed into renewable natural gas and transportation fuels. Animal manure, food waste, corn and other organics are usually used as feedstocks for biogas production. Multiple pumps are used throughout the process to move semi-solids and slurries. To protect these pumps, system designers will use in-line two shafted grinders. Two shafted grinders will separate solids that have materialized in the bottom of the digestion tanks or have been brought in through the feedstock. Drum screens are also used in some anaerobic digestion systems used to screen out the beneficial microorganisms that are flushed from the digester. These are collected and used to treat additional waste through the anaerobic digestion process. HomeBiogas is a manufacturer of a simple biogas system that saves money, improves health and provides energy & waste management infrastructure for the home. The system sits outdoors and uses leftover food scraps from the kitchen. It is basically a super composter because it does what compost bins do but in a more efficient way. It not only breaks down organic waste, but it captures the methane gas which is produced during the process and makes it available to cook with. 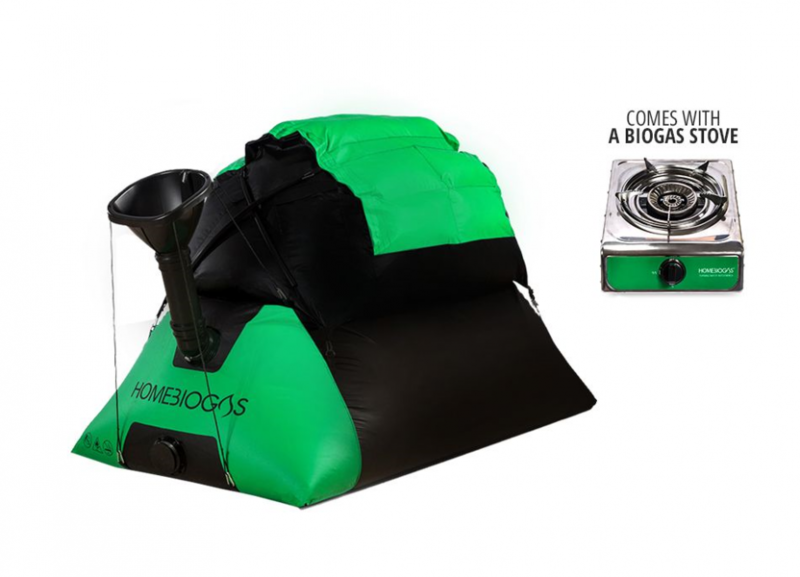 Besides cooking gas, HomeBiogas creates a rich liquid fertilizer. This is an advantage over a compost pile, which requires frequent churning, tending, and monitoring. The liquid fertilizer is quickly and easily absorbed by plants. There are companies that bring experience and expertise to assist governments and private industry convert biogas to an energy source. These companies build, operate and maintain methane digester facilities. Waste Management is one company that is exploring turning food waste into energy. 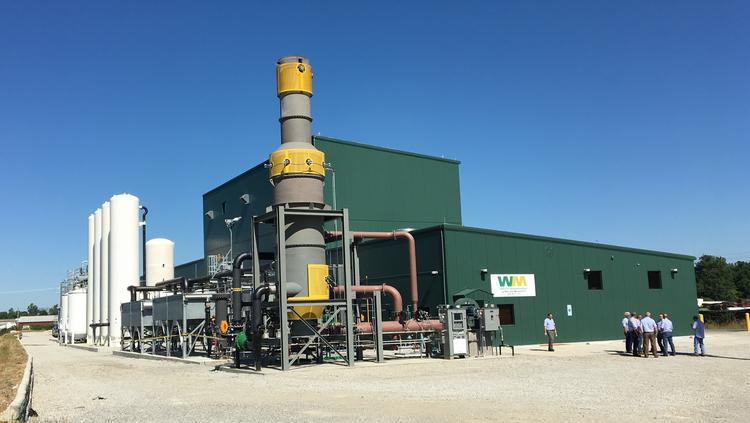 WM sends some of its food waste for composting and some of it to its Centralized Organic Recycling equipment processing facilities to be turned into energy. The facility turns organic waste into a slurry that WM calls engineered bioslurry, which is used to generate electricity. The engineered bioslurry is discharged into an anaerobic digester, which produces methane. This gas is contained and powers a generator. The process can turn a ton of food waste into enough electricity to power eight to ten homes. The potential of food waste being converted to energy is just being recognized. Why waste over 70 percent of the world’s food by sending it into landfills, rather than harnessing it for energy? Over the next quarter century, worldwide energy needs will increase by 50 percent, while oil supplies are dwindling quickly. Waste-to-energy is the apparent solution to meet the world’s escalating energy needs. Are Solar Shingles and Solar Windows Viable? Solar shingles and solar windows signify what solar can, and most likely, will be in the future—integrated and sleek. With lower prices, this technology should take off in the near future.